carriewriterblog: Can We Still Beam Up? Can We Still Beam Up? The irony of the Titanic is not lost on us. The fact that the ship was supposed to be "unsinkable," that it was supposed to herald a modern age in ocean travel, that in the end was not equipped with enough lifeboats for all the passengers - are all sad facts well known. Ironic indeed, that a ship equipped with a squash court, swimming pool, Turkish baths, a barber, and 3 libraries, sunk in so short a time on its first night out of port. Yesterday's New York Times article highlights yet another sad truth of another theory in play - that the ship's rivets were of low quality, and that is why it went down so quickly after being struck. "The builder’s own archives, two scientists say, harbor evidence of a deadly mix of low quality rivets and lofty ambition as the builder labored to construct the three biggest ships in the world at once — the Titanic and two sisters, the Olympic and the Britannic." There is more controversy -- that the ship rivets were only half in steel and half in iron, the latter of which would have fortified it enough to minimize the damage - that others say the problem was not the rivets at all, but that any ship would not have withstood the crash. It reminds me of September 11, and the controversy over the materials used to build the World Trade Center. Yet another irony. And still another, the recent recall of aircraft for inspection due to dangerous hydraulic wiring that, according to articles, could cause in-air fires and explosions. We should take the past and the present, as reminders that we pay a price for progress - that technological innovation comes at a cost, just as it comes with a leap of faith. Sometimes, though, it's that leap that takes us too far. Are we getting ahead of ourselves? Are the catastrophic episodes we saw with The Challenger and the Columbia par for the course in progress? 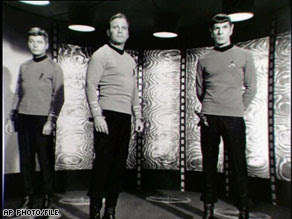 Last night, I watched an episode of "Star Trek" where Captain Kirk nearly loses his "beam me up" moment due to a transporter glitch, risking his molecules being strewn all over the galaxy. Of course, he makes it. It's television, and there's a mission to seek out new life, after all. But in real life, there's always that moment when the inflight movie begins, and we obediently lower our shades so we can see it. It's up to us whether or not to look out the small oval of our window, where the long expanse of the airplane wings extend before us like the great flying dinosaurs of prehistoric times. One of the finest balances of "techie" and "humanistic" writing I have ever seen! I'm a big fan of this blog and its blogger. This person "get it" that technical writing must be humanized to be really read and effective.